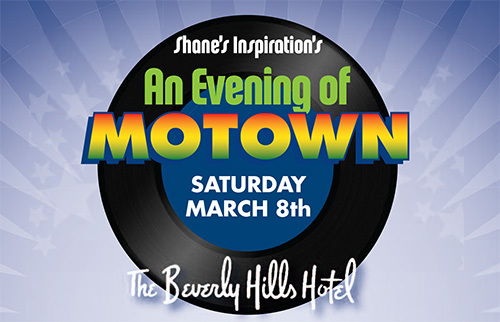 On Saturday, March 8, Shane’s Inspiration held its annual Gala Celebration at the Beverly Hills Hotel Crystal Ballroom. Themed An Evening of Motown, attendees came together to help raise funds for Shane’s Inspiration and their inclusion programming in addition to celebrating three amazing champions of inclusive play. Former Vice President of Ecuador Lenin Moreno was presented with the Inspiration Award for his work in advancing social inclusion and bringing the first inclusive playground to Ecuador. The 8,880 square-foot inclusive playground, which opened on Nov. 22, 2013, features playground equipment specifically designed to promote integration among children of all abilities. Additionally, Universal Studios Hollywood’s Discover a Star Foundation received the Community Leadership Award for its work of providing financial assistance to neighboring nonprofits linked to children’s causes and homeless intervention, and Richard D. Kessler was honored with the Humanitarian Award for his strong community involvement and support of Shane’s Inspiration. Congratulations to all of these champions of inclusive play! Learn more about Shane’s Inspiration, their social inclusion programming and lots more by visiting shanesinspiration.org. This entry was posted in Accessibility, Inclusion, Inclusive Play, Inclusive playgrounds and tagged Beverly Hills Hotel, champions of inclusive play, Discover a Star Foundation, Ecuador, Motown, playground equipment, Richard Kessler, Shane's Inspiration, social inclusion, Universal Studios Hollywood by PlayLSI. Bookmark the permalink.